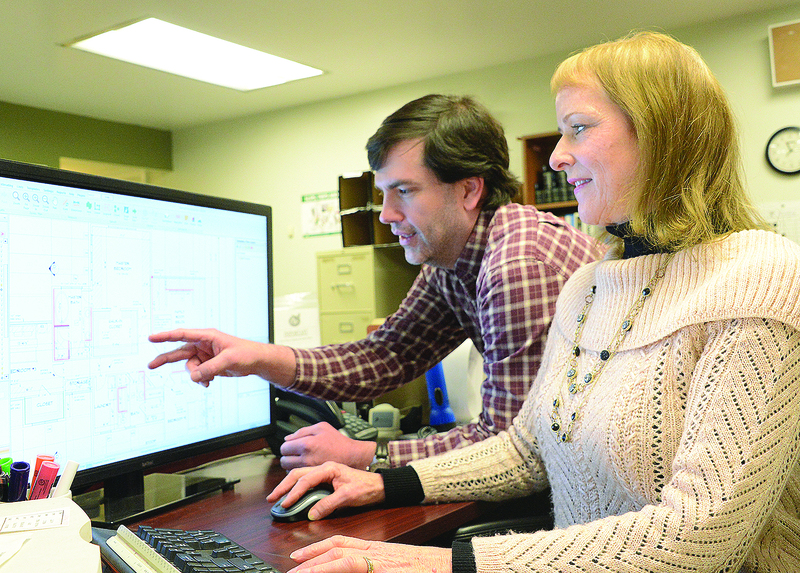 Curtis Lumber employees Margie Miller and Jonathan Wilkinson do research. It all started with a sawmill. In 1827, Captain Isaac Henry Curtis built his sawmill on Charlton Road and by it’s 125th anniversary in 2015, Curtis Lumber Co. grew to over 600 employees in 21 locations in New York and northern Vermont. It had $200 million in sales in 2018, according to the company. Aside from selling materials, part of the company’s effort goes to working with builders and design teams to see what projects are going on and how Curtis Lumber can help them. Margie Miller, architectural representative for Curtis Lumber, said the company’s success couldn’t have happened without a strong, knowledgeable sales team and good customer service from the Curtis Lumber team. The Warren-Washington Association for Mental Health Inc. is planning to build a 28-unit apartment building at 47-50 Cooper St. This is a rendering of what it will look like. 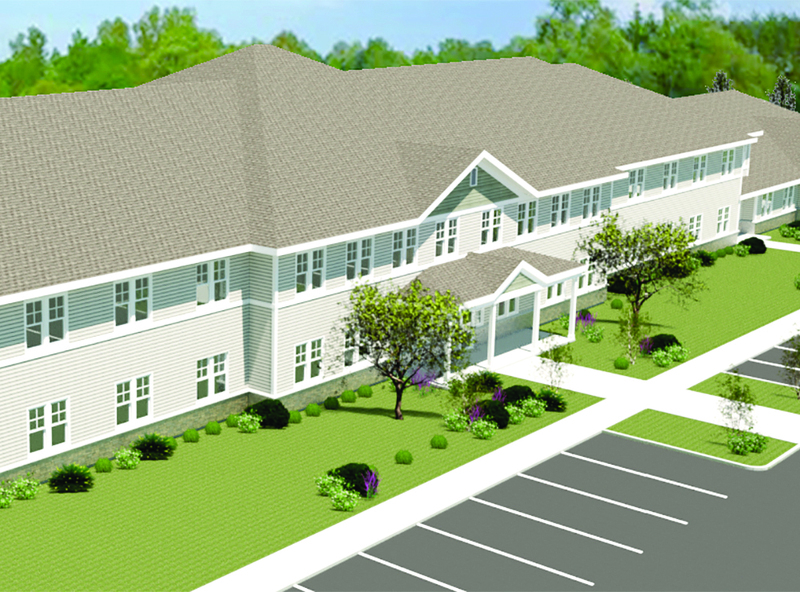 A newly proposed housing project for the homeless is in the works in Glens Falls. The Warren-Washington Association for Mental Health Inc. is planning to build a 28-unit apartment building at 47-50 Cooper St.
After being awarded $9.2 million in grants for operating and building the housing development, Andrea Deepe, executive director of the association, said the next steps are to appear before the city Planning Board for approval, while educating the public on the merits of the project. “We already have a presence on Maple Street, nearby,” Deepe said. Construction employment increased by 52,000 jobs in January and by 338,000 jobs, or 4.7 percent, over the past year, while the latest reading on construction spending showed moderate increases in all major categories, according to an analysis of new government data by the Associated General Contractors of America. (AGC). For the fifth consecutive year home prices appreciated according to the housing market report released today by the New York State Association of Realtors. Home prices in 2018 rose 6 percent above 2017 figures. The $265,000 median sales price at the end of 2018 topped the 2017 median price of $250,000. In 2014, the median price was $225,000 the association said. The report said the total sales that were closed in Warren County was 1,016, down 5.6 percent from 2017. Sellers received 96.3 percent of the list price in 2018. In Washington County, there were 681 closings by Realtors, down 7.1 percent from 2017, the report said. Sellers received 96.6 percent of the list price. According to Birdseye, the structure is a private residence on Brant Lake, owned by the same family for four generations. The five-acre site is had two existing boathouses, a tree-lined carriage road, and a vintage waterfront cabin. 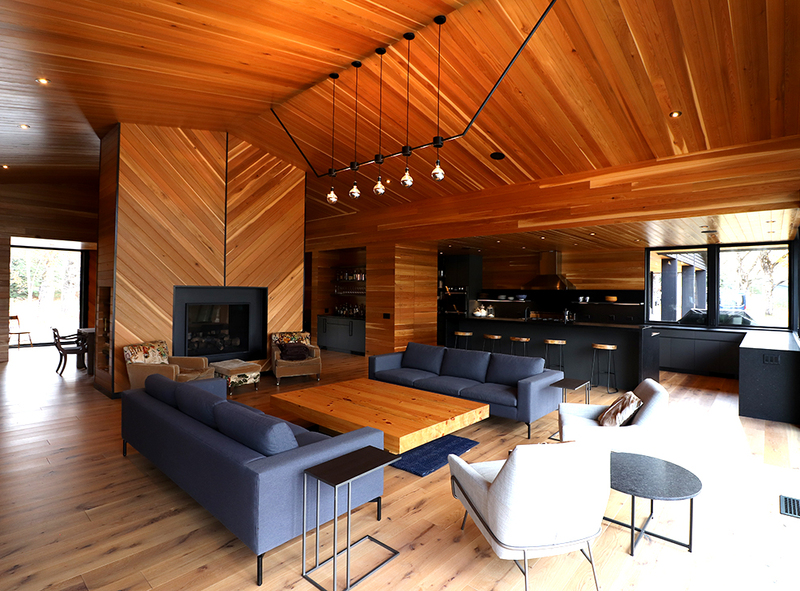 “This lake house for two families was an early favorite among the jury. It was one of the few projects that thoroughly redefined its site with the introduction of a new building that clearly contrasted in scale and expression with the existing buildings on the site, casting them into entirely new light” said the comments from the jury that reviewed all award submissions and selected the winners. The Fitzgerald Morris Baker Law Firm is preparing to move their Glens Falls offices. 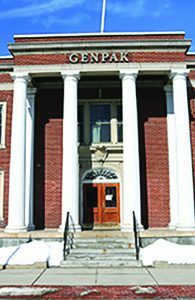 The firm currently rents space at 16 Pearl St., but is bound for downtown space at 68 Warren St.
Until recently, 68 Warren St. served as the headquarters for Genpak, a food packaging manufacturer. When Genpak announced its decision to move its headquarters to Charlotte, N.C., managing partner of the FitzGerald Morris Baker Law Firm, John Aspland Jr., saw it as an opportunity for his firm. They bought the building. With a history dating back over 90 years, FitzGerald Morris Baker has been serving the community both in and around Upstate New York, and has seen great growth and success, according to the firm. Aspland said the acquisition of a new office will help facilitate positive growth. They bought the building. “The idea is, when you make a step in one direction, and you have a plan in mind for five or 10 years down the road, you can see where you’re going. If you can find a space that allows you to develop a floor-space plan for growth, you can take steps to get where you want to be,” said Aspland. Altek Energy Systems Inc. is seeking bids for construction of an office, warehouse, and manufacturing facility in Queensbury. The new building would accommodate the former Fort Edwards Fire Sprinkler Co. that Altek purchased four years ago. The sprinkler company was on the verge of going out of business when Altek purchased it, according to company president Mike O’Connor. Altek has nursed it back to life and expects 2018 sales to be triple those of the year it was acquired. Currently, the sprinkler division accounts for about one-quarter of Altek’s revenues, he said. The new building will be constructed on a 1.7-acre site in the Carey Industrial Park off Northway Exit 18.